Today I have for you another drill to help you release properly through the ball. 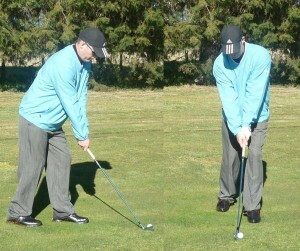 This will help you to get the ball turning over from right to left which naturally will give you more distance. Plus this drill will also help you to improve your balance as you’re swinging. To do this drill I want you to setup to a ball as normal. This will mean you have an extremely closed stance and your feet are very close together. After setting up like this then you need to simply swing back and then through. By having such a closed stance it will force you to swing from an inside path and close the clubface as you’re swinging through the ball. Here is a video showing you one of my students doing this release drill. 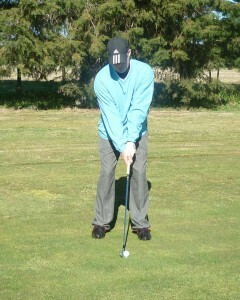 Hit balls with the extremely closed and narrow stance that I’ve shown you. I suggest you do this with a 5 or 6 iron. And off a tee is fine for this drill.